Bigfoot fans are in for a treat. There are two new Bigfoot films coming out this year, one from director and comedian Bobcat Goldthwaith (Worlds Greatest Dad, God Bless America), and another from Director Eduardo Sanchez (Blair Witch Project, Lovely Molly) both of which have every indication of being solid Bigfoot films. Willow Creek is a found footage Bigfoot film shot in Eastern Humboldt County, an area where there have been Bigfoot sightings for hundred of years.The film features actual Bigfoot witnesses discussing their sightings with the main characters, two tourists who are camping out and visiting the site where the Patterson and Gimlin footage was shot, hoping to get Bigfoot footage of their own. Reviews of this film have said that it is both funny and scary, and chalk it up to Goldthwait's first scary film. Exists, which is also a found footage film, is about a group of young adults that take a trip to a remote cabin and are hunted by a large Bigfoot. 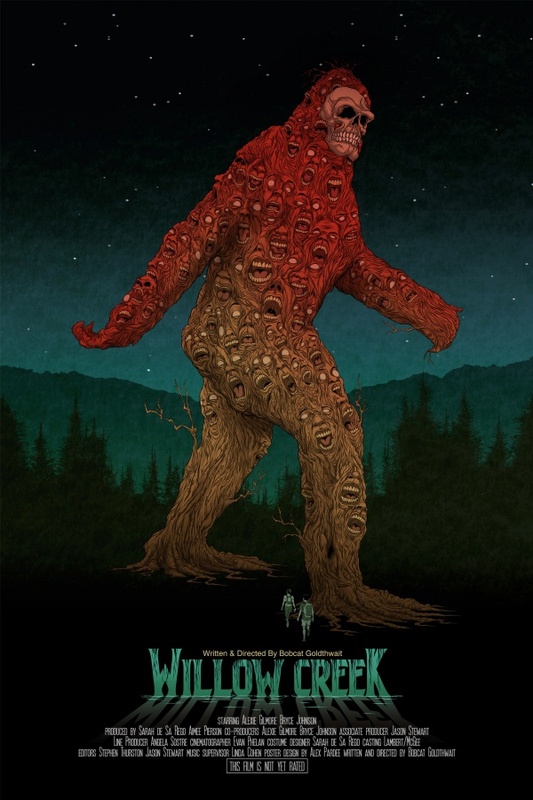 The film, written by Sanchez and his writing partner Jamie Nash, is intended to be the first in a trilogy of Bigfoot movies they hope to release and was filmed outside Austin Texas. From all the sneak peak photos and info that has surfaced so far, and considering the film is in the hands of one of the pioneers of found footage, all indications are that Exists is going to be a terrifying addition to Bigfoot's celluloid legacy. Goldthwaite is supposed to be on Coast to Coast AM with George Knapp. I think it's tonight's.